Pokémon Sun & Moon were finally released last Friday and I have been playing Sun more than I could have ever anticipated. Yet, before my official review comes out next week, how about a little background on my turbulent history with Pokémon? Back when Pokémon Red & Blue first came out for the Game Boy, I did not even own the system. Regardless, a couple of months after their initial release, something suddenly bit me. Next thing I know: my dad is driving me to the game store and I buy myself a copy of Pokémon Red. I really wanted Blue, liking Squirtle (and the color blue) more than Charizard, but no Blue copies were left. Being young and impatient, I settled. This has not changed much with the years. Anyways, I made it back home with a fresh copy of Pokémon Red. Did I mention I did not own a Game Boy? Being young with limited resources, there was only one thing I could do: I went around to all my neighborhood friends questing for one I could borrow. A lot of them either did not have a Game Boy or were very reluctant to temporarily part ways with their handheld. When I was about to give up, one of my less gamer-y friends came through and was more than willing to let me borrow hers. With a Game Boy in hand, my Pokémon adventure finally began in earnest. 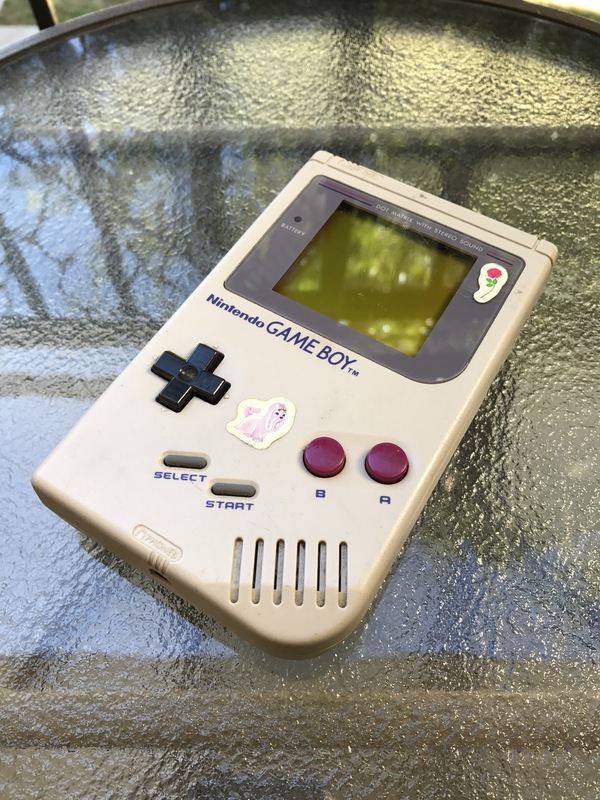 The borrowed Game Boy… that I still have. Sorry, awesome friend! ￼This would have been such a fantastic start to the story of a long 15 year journey through Pokémon games. But, after only a couple of months playing Pokémon Red, catching a decent amount of critters and probably evolving everything way too early, I stopped playing it. I had probably made it to the third or fourth gym. And, for some odd reason, my Pokémon adventure ceased almost as abruptly as it had started. 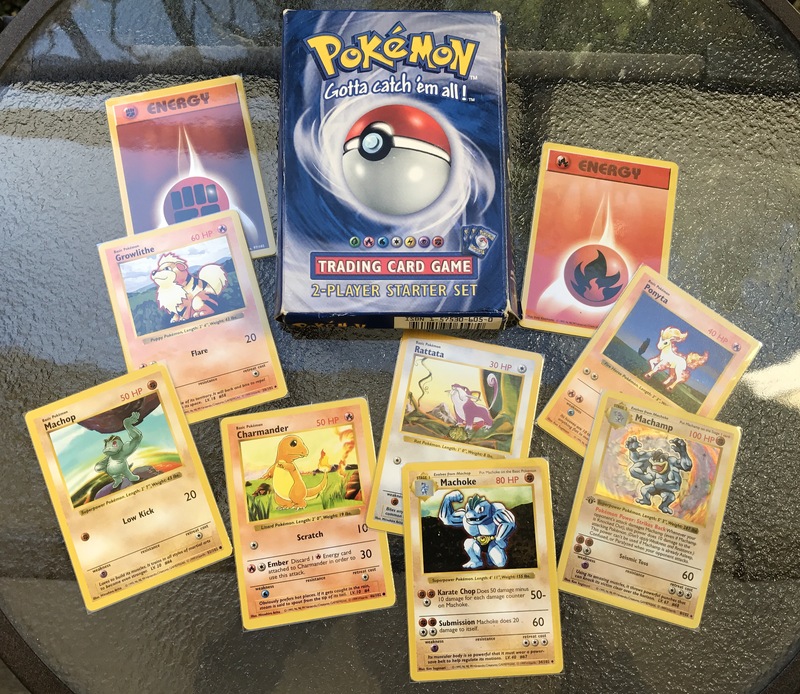 Now, fast forward a little to when the Pokémon Trading Card Game was first released. A friend and I decided to try it out and really enjoyed it. We liked its simplicity in comparison with other card games. But, with no additional boosters or theme decks available in our area, we got bored of it pretty quick; playing over and over with the same cards and having identical decks is not much fun. And, seriously, there are a finite amount of times that evolving Machoke into Machamp feels exciting. So, Pokémon lost me again. More time passed and Pokémon Yellow went by. Seeing the main playable character be followed around by Pikachu was really cool. But, not enough to get my money. Pokémon Gold & Silver, and the Game Boy Advance generation went by without me even even noticing them. I was completely tuned out of Pokémon. A shame too. I actually had my OWN Game Boy Advance! It was not until Pokémon Black & White landed on the Nintento DS that, for some reason, my interest was once again peeked and I picked up a copy of Black. Why Black? Frankly, because the dude in the Black cover looked much cooler than the one on the White cover. Yes, I might be a terrible Pokémon fan. Bear with me. Pokémon Black’s story certainly caught my attention more than Pokémon Red’s. Beyond the standard gym progression, the game had an actual over-arching plot with what I felt was a decently deep theme. But, it was not enough! At a certain point in the game, when the player first arrives at a dessert-like area with a lot of rock type Pokémon, my motivation to play suddenly dwindled. Then, a week had gone by and I had not opened my DS. Thinking back, maybe I was turned off by suddenly having a bunch of new Pokémon to catch and just being tired of “catching ‘em all”. Confession: In games where there are collectibles I have a really hard time NOT trying to get everything. And, what happens more often than not is that I get burned out and drop the game altogether. Meticulous collecting tends to significantly slow down game story progression. WAIT, scratch that! Pokémon Go showed up and wrecked my world. I am not playing it as much as when it came out but it completely revitalized my interest for Pokémon. I got back into the Trading Card Game and dragged my family down with me. I even found my old Pokémon Red cartridge and took it for a spin. 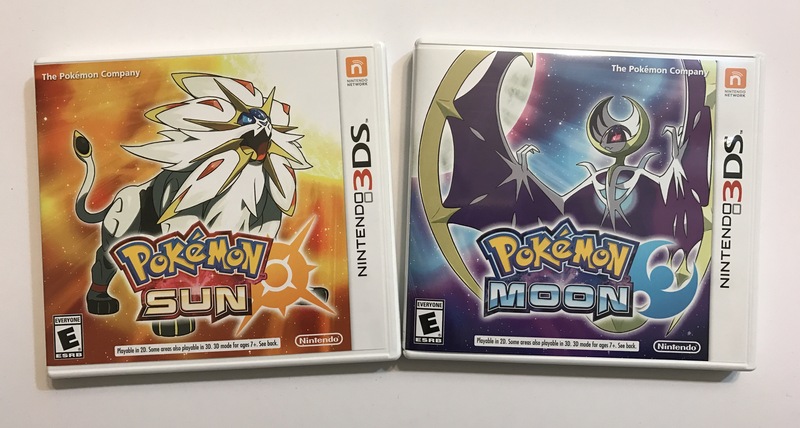 It was around then that the news about Pokémon Sun & Moon actually started to tickle my ears and I began to toy with the idea of getting one when they came out. But, the little voice in my head kept yelling: “what would be different about this one?!”. In all seriousness, would either of these games fare any different than the ones I had played before? When the Pokémon Sun & Moon Special Demo landed on the Nintendo eShop, I figured “why not download it?”. It was free after all. The little chunk of the world and tour of the gameplay were really fun and simple. Furthermore, the demo came packed with tons of incentives that players can carry to the full version of the game. Low and behold, I went to GameStop and preordered a copy. Am I ashamed? Maybe a little. I completely fell right into Nintendo’s trap! In general, I am crossing my fingers on this one. Will the game have enough extra content surrounding the standard gym progression to keep it from being repetitive? Will the new trials (replacing gyms) freshen and revitalize the franchise? Will I be able to strike a balance between obsessive collecting and still moving forward in the game so that I don’t get burned out and drop it, like what happened with the previous titles? Will this be the first Pokémon title I actually play all the way through? 10 hours into the full game so far and I am not showing any signs of wear yet. The game’s new setting feels very refreshing and new. So, do some of the classic Pokémon which now sport new “island” looks. The story so far has kept my interest. I don’t really care about the new “Team Skull”, but I am definitely curious about how the lore of the different islands and their deity Pokémon will play a role in the story. One lukewarm comment is that, so far, the main character has been pretty much funneled through a very tight path in the area. I am hoping that this is just an indication that I am still playing the tutorial segment of the game and that, once I clear the first island, the game will “open” up a little more. I have been stopping at pretty much every grassy spot trying to make sure I catch as many new Pokémon as I can so it might take me more than the average to progress in the story. Also bare in mind that I am a severe “wall humper” when I play Role Playing Games. All drawers, refrigerators, desks, plant pots, crevices, etc., must be checked. Loot is everywhere! Please stay tuned. The review will be coming up next week!